It’s time you got over the cliché run-of-the-mill restaurants in Delhi and started expecting better things from your hometown. No more dim lighting, no more uncomfortable seating, no more disappointing liquor and most importantly no more unexceptional food. 52 Janpath is here to wow your senses with its comfortable pouffes, finger licking range of food and a special corner dedicated to avid book readers. 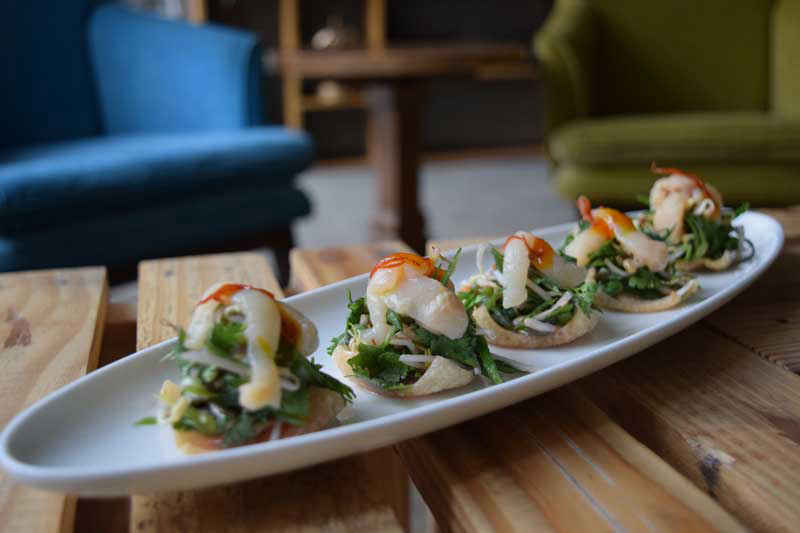 The concept of palate cleansers is catching up fast and those who don’t believe in it might question their scepticism after having the Cold Open Wontons at 52 Janpath. Full of juicy litchis, sprouts and a lemon twist, it is enough to get your gastro machinery in motion to devour 52 Janpath’s beautiful spread. The Spring Rainbow Quinoa salad which is a combination of rocket leaves, quinoa and goat cheese could do well with a less amount of olive oil. Although, if you are a person who loves his salad dripped in oil, then order it straightaway. 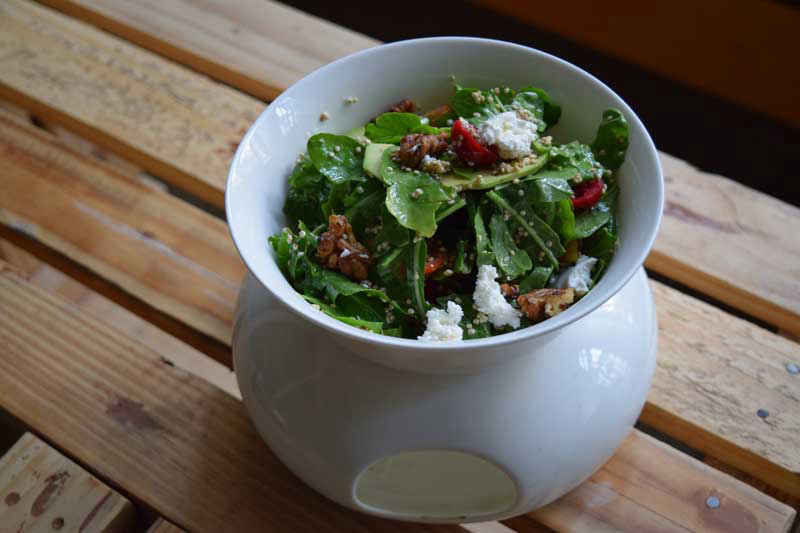 At Rs 425, this salad beats its competitors by a huge margin. 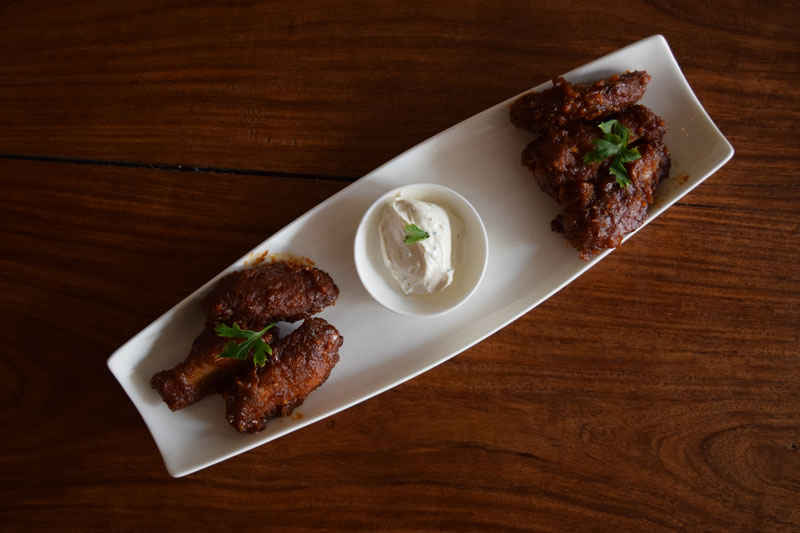 The Chicken Wings was another splendid dish. The preparation of the wings was a bit different as they had been rolled in a hot and sweet batter and stir fried in a wok. Must order for the chicken lovers who love to get their hands dirty while indulging in something decadent. The fish tikkas grilled with quinoa seeds were somewhat underwhelming. This experimental pairing up didn’t quite hit the sweet spot. Although, the mint mayo which accompanied the tikkas lessened the dullness of the fish. The Colombian style beetroot ricotta cheese and quinoa patty pretty much blew us away. The crisp exterior of the tikki went very well with the juicy interior and to top it off, it had cheese in its centre. 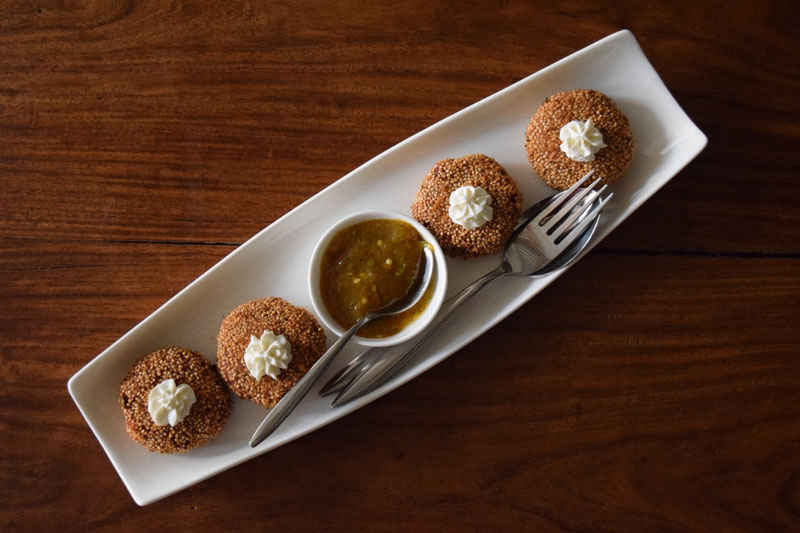 This heavenly creation was served with an outstanding kasundi mango chutney which left us wanting for more. Any number of accolades would fall short for this finger licking creation. 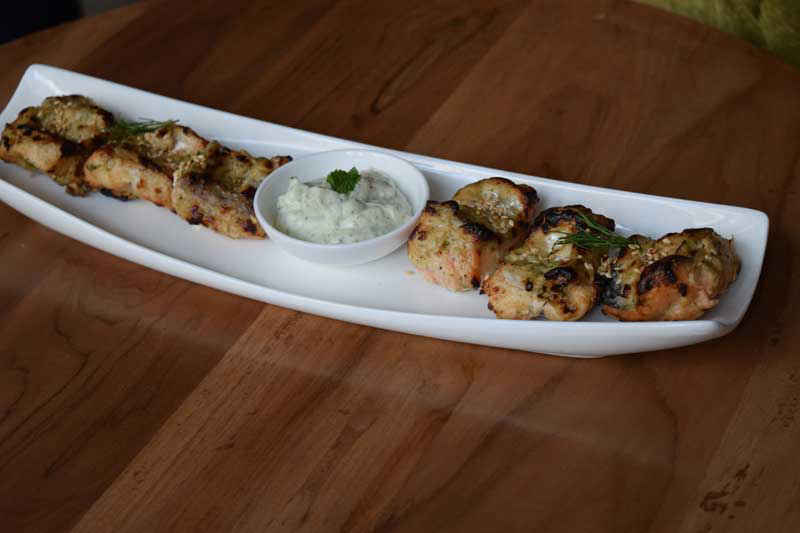 Costing as little as Rs 325, this dish can be ordered more than once. 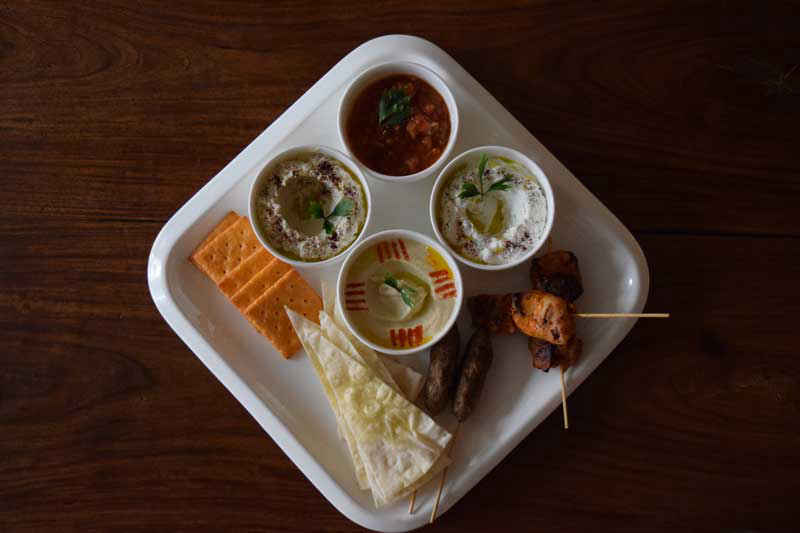 The Hot Mezze Platter priced at Rs 575 comes in full force with Chicken Shish Taouk, Lamb Seekh and 4 different varieties of dips including the Tzatziki, a greek dip consists of cucumber, mint or parsley, and olive oil. The preparation was just perfect! The Salsa was made using roasted tomatoes and was a treat for our taste buds. The Hummus, on the other hand didn’t quite live up to our expectations. The Shish Touk was well cooked and full of Middle Eastern flavours - a must have. 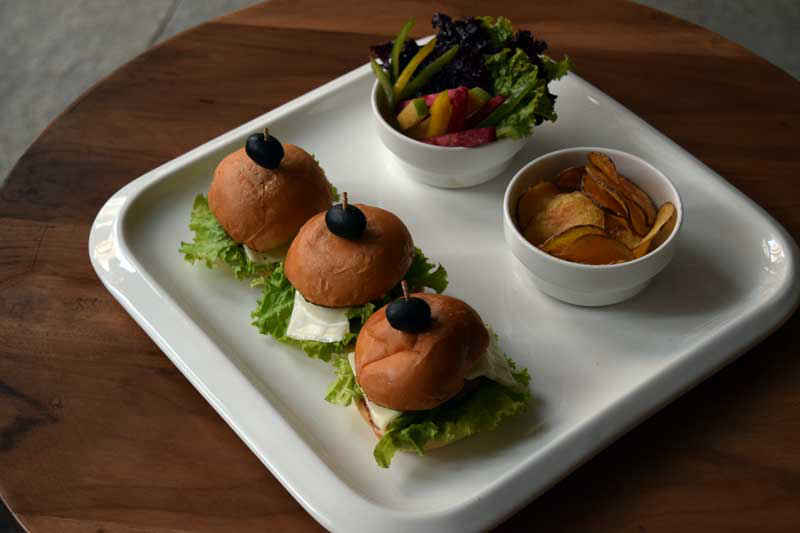 The Meat Sliders is that one dish which will make you fall in love with it as soon as you take the first bite. There were 3 sliders in a platter filled with a generous lamb patty and bbq pulled lamb. The dish also consisted of potato chips which had been air fried with its skin, making it all the more different and tastier at the same time. For those who love Indian food, don’t fret, because 52 Janpath also serves Pulao. 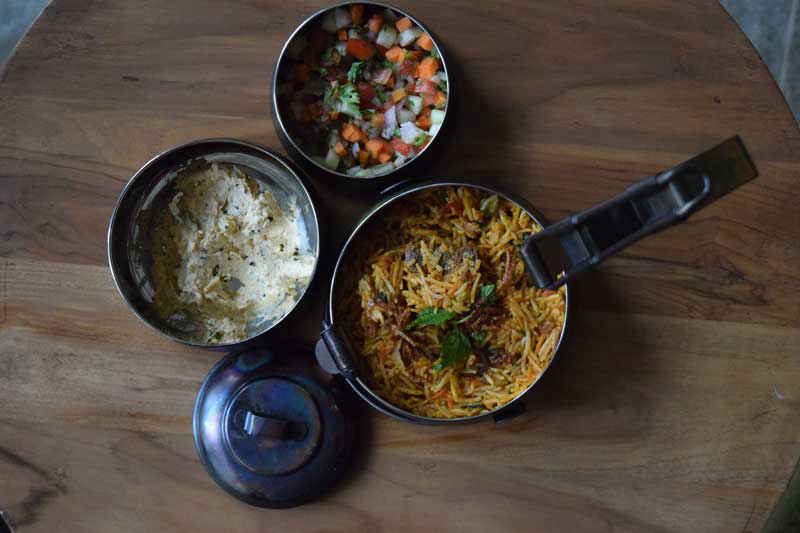 Served in a yesteryear copper tiffin, the Bibi Ka Mutton Pulao, costing Rs 445, emanated an aroma which tantalized our tastebuds. The rice was flavoured to perfection and was served along with salad and a semi liquid curd based dip. Head over here for a laidback experience and when looking for a range of cuisines!